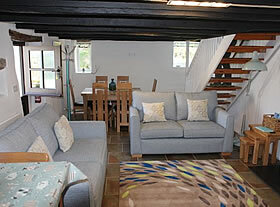 Our three self catering holiday cottages have been skilfully converted from a former granary barn and retain many features of their heritage, yet with all modern conveniences to ensure your comfort. With secure off road parking, the cottages and our 4 acres are surrounded by farmland and country walks, and close to both moor and sea. 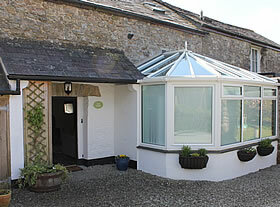 Click here for a 360 degree view of Hendrifton and surrounds. 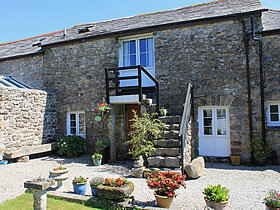 Refurbished in 2017, April Cottage joins the established Granary Cottage and Field View Cottage. 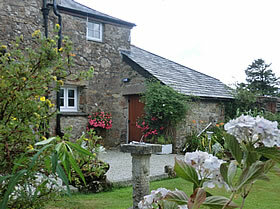 All three self catering holiday cottages are comfortably furnished and well equipped. April Cottage has the benefit of a conservatory, Field View Cottage has its own garden and Granary Cottage has a private BBQ area. All have access to the large enclosed dog walking/ recreation field. Your hosts Suzanne and David are on hand to welcome you, and provide all manner of local information as required. We want to ensure that your holiday is a pleasure. Fresh air, beaches, and very dog-friendly. Local pubs, an award-winning farm shop. Fresh fish, great ale, and even local wine.